With just 53 days until the 1st December and 77 days until Christmas, it’s that time of year again when the BoothStar studio turns into a winter wonderland with deliveries of seasonal props, a cupboard filled with mince pies and a bottle or two of mulled wine! 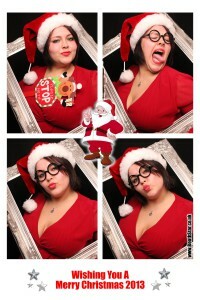 There’s no denying that photo booths provide immense fun and entertainment. For 2014, they’ve searched long and hard to bring a wide selection of new props and Christmas themed staging to help create some amazing memories for clients old and new during the Christmas party season. 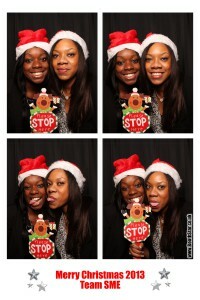 Over the years, BoothStar have provided a range of photo booths and photographic services to Christmas parties throughout the UK. They’ve entertained large organisations such as Virgin Holidays, EON, Next and M&S in some of the finest venues as well as small SME clients or private individuals in their own homes or offices. BoothStar is one of the oldest photo booth companies in the UK and all events are manned by its owners who have a wealth of photographic experience. If you are looking to create unique memories and entertain guests at your forthcoming Christmas party they would love to hear from you. 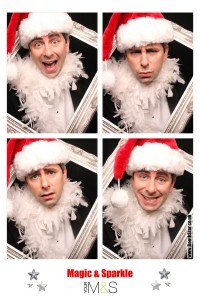 Pick up the phone now or drop the studio an email to discuss your Christmas party hire options.